"The fact that I just learned that after 35 years of being in the film business … we're not going back," she said. "The fact that I just learned that after 35 years of being in the film business … we're not going back." 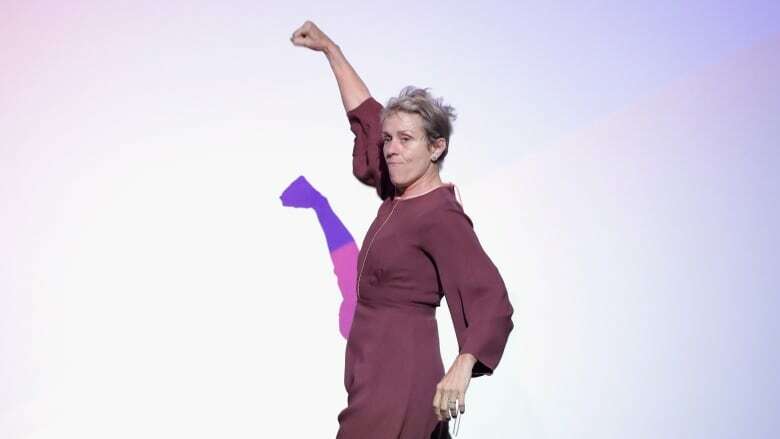 "I have two words to leave with you tonight, ladies and gentlemen," Frances McDormand said last night while accepting her best actress Oscar. "Inclusion rider." It was a two-word mic drop that sent many to Google, wondering what exactly an inclusion rider is. McDormand herself didn't know what it was until that week, as she revealed backstage to reporters. "The fact that I just learned that after 35 years of being in the film business … we're not going back," she said. An inclusion rider, at its most simple, is a stipulation actors and actresses can put into their contract that states at least 50 per cent of the cast and crew are women or people of colour. "The whole idea of women 'trending?' No. No trending," she continued. "African-Americans trending? No. No trending. It changes now. And I think the inclusion rider will have something to do with that." The idea of an inclusion rider, and that it can help change gender and race bias in Hollywood, goes back to at least 2016. Stacy Smith, a professor at the University of Southern California Annenberg School for Communication and Journalism, highlighted the inclusion rider, or equity rider, at a TED Talk in 2016 and published it in a paper the following year. In 2014, she was interviewed by the Hollywood Reporter about three simple changes that could make Hollywood more equal. An equity rider was one of them. "What if A-list actors amended every contract with an equity rider?," she said. "The clause would state that tertiary speaking characters should match the gender distribution of the setting for the film, as long as it's sensible for the plot. If notable actors working across 25 top films in 2013 had made this change to their contracts, the proportion of balanced films (about half-female) would have jumped from 16 per cent to 41 per cent. Imagine the possibilities if a few actors exercised their power contractually on behalf of women and girls. It wouldn't necessarily mean more lead roles for females, but it would create a diverse onscreen demography reflecting a population comprised of 50 per cent women and girls. Director Paul Feig also went on record in 2016 in favour of such a move, telling the Associated Press, "I think we need to set these things in stone so it forces everybody to think that way." The important thing to note, however, is that it specifically applies to A-list actors and actresses. The people who have the power to make such demands are the same people who can help make the change. When McDormand asked all her female nominees to stand up, she began with Meryl Streep. She wanted her fellow nominees in the room to be recognized, and so she started by asking Streep to set an example and stand. Although McDormand might as well have been talking about putting inclusion riders into place, because as she said, "Meryl, you do it and everybody else will."